One of my family’s favorite summer activities is seeing a movie. We love an outdoor movie under the stars, an icy cold theater on a sweltering afternoon or (our favorite!) a double feature at the drive in. There are so many annual summer movie events to choose from. 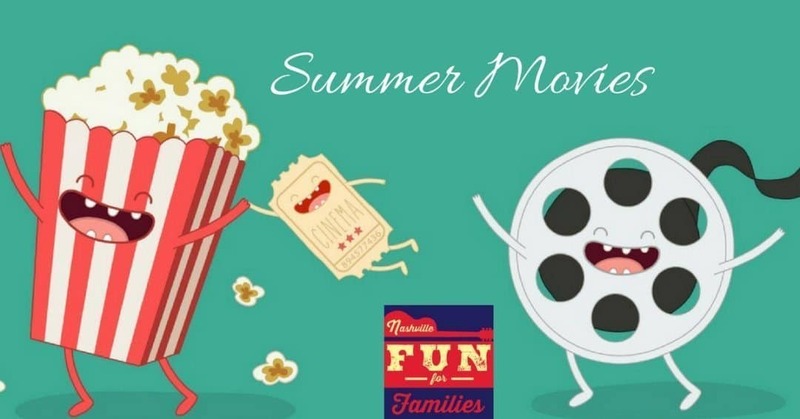 There is Leiper’s Fork Lawnchair Theatre, Nashville Scene’s Movies in the Park, Movies in the Park Franklin, Zoovie Nights at The Nashville Zoo, Movies in the Park Mt Juliet, Movies Under the Stars in Murfreesboro and so many more! This list will grow all summer long so check back often. First run movies every night of the week on 2 screens during summer. Open Friday, Saturday and Sunday only in April and May. Open daily in June & July. Box office opens at 6PM. First run movies every Friday, Saturday & Sunday night. For more ideas of fun check out our 2019 Nashville Summer Guide!